Despite a number of high-profile plant closures in recent months, the food processing industry in Canada is becoming more competitive and those efforts are likely to bear fruit in the form of jobs, according to a new study. Western University’s Ivey Business School says its study found that the most commonly cited reason for closures was that a plant was no longer competitive and, in many cases, production was being consolidated at another location. But when new plants open, they are often larger and incorporate new technology that drives down costs, it found. Recent high-profile food plant closures in Ontario, such as the Kellogg operation in London and the threat of closure that loomed over the Heinz plant in Leamington before it was saved by a last-minute deal, raised concerns in a province that had watched its auto and steel industries decimated by the recession. 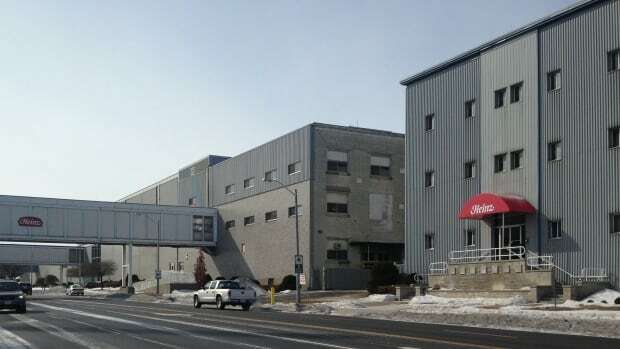 While auto manufacturing has improved, a string of closures that also included Smucker’s and Lance Canada Ltd, has led many to question the future of food processing in the province. But the Western study, co-authored by David Sparling, said that between 2008 and 2014, the 105 closures in the province have been balanced by 105 openings and plant investments. That means that while plant closures resulted in job losses, the industry overall did not experience a net decline in employment. “The food industry typically has had lots of small plants and lots more retail,” he said. Hamilton, Brantford, London, Toronto and Windsor, Ont., are all large centres that have big workforces and the ability to service a larger company, he said. Cities like Hamilton and Brantford, which were hit hard as manufacturing changed, are seeing new opportunities with a Ferrero Rocher plant in Brantford and a Canada Bread operation in Hamilton, said Sparling, who is the chair of Agri-food Innovation at Ivey. When looking to set up new plants, he added, companies did consider whether there were people in the area who already understood manufacturing and were looking for work. “The food industry doesn’t tend to pay quite as much as things like automotive and steel, so there’s a bit of an adjustment that way, but they are still good manufacturing jobs,” said Sparling. Food processing, like other manufacturing in Canada, was hit hard by the recession, the high loonie, increased foreign competition and higher input costs. But it has also been impacted by an increasingly competitive retail market for grocery stores, which “are operating at razor-thin margins and they’re just not doing as well as they have been in the past,” Sparling said. The study, titled The Changing Face of Food Manufacturing in Canada: An Analysis of Plant Closings, Openings and Investments, found that there were 143 plant closures announced between 2006 and 2014, resulting in projected losses of almost 24,000 jobs. The industry went through a particularly challenging period in 2007 and 2008, when 48 closures in the country outnumbered the 27 openings and plant investments. Ontario was the hardest-hit province, while Quebec was more successful in balancing openings and investments with closures. But revenue continued to increase during that period and employment recovered more quickly than at other manufacturers. Closures were also offset by investments from both foreign and domestic companies, with Canadian firms making slightly higher investments and the majority of activity coming from smaller firms. “The overall picture is one of an industry that went through tough times in the mid 2000s but in recent years has been looking more positive in spite of continuing challenges,” the report said. To continue to grow the sector going forward, the report highlighted the need to create an attractive investment environment, reduce energy costs, to support and facilitate trade and to provide incentives for companies to choose to set up shop in Canada and upgrade technology. Food companies also voiced concern about labour supply issues in the future, as they worried about meeting the growing need for skilled labour and said they could benefit from greater use of apprenticeships and training programs. The food processing industry produces more than 70 per cent of the food Canadians buy and, with revenue of more than $88 billion in 2011, it’s the second-largest Canadian manufacturing industry and Canada’s largest manufacturing employer.